The secrets behind the work of chameleon designer Pierre Yves Rochon, who has devoted thirty years to the quest for "absolute comfort." Is there a signature Rochon style? At first, it is difficult to tell because the designer always adapts his work to the environment in which it unfolds, bringing out the location’s unique spirit. The secrets behind the work of chameleon designer Pierre Yves Rochon, who has devoted thirty years to the quest for "absolute comfort." Is there a signature Rochon style? At first, it is difficult to tell because the designer always adapts his work to the environment in which it unfolds, bringing out the location’s unique spirit. A great traveler, he blends international styles, borrowing from both modern and classical influences. Hailed as a "visionary designer" and "master of grand luxe" by the Financial Times’ How To Spend It, Rochon’s most prestigious commissions include Four Seasons Hotels—in Paris, Florence, Washington, Shanghai and Cairo, for example—and restaurants for several Michelin-starred chefs. His residential work includes sumptuous private homes he has designed across Europe, America, and the Middle East. 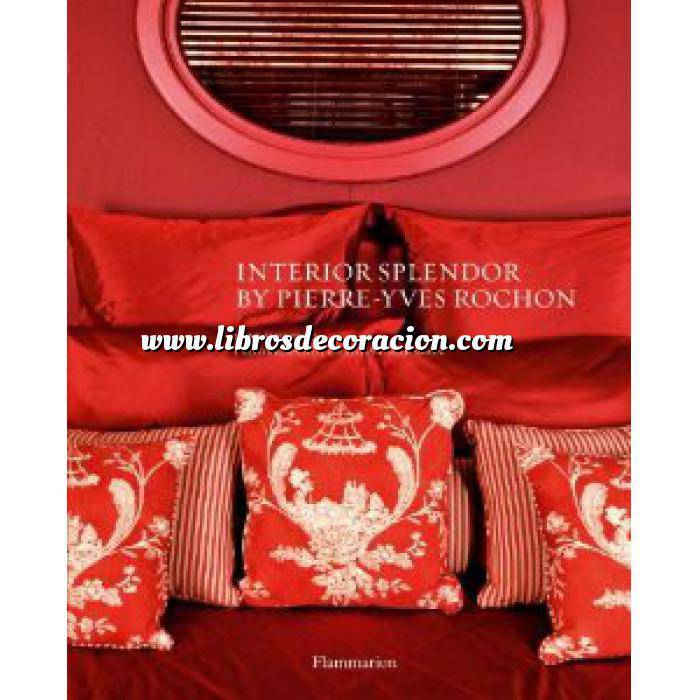 This monograph—Rochon’s first—reveals the designer’s trademark approach to interior splendor. For him, "the quality of the object and the hand that made it," is essential for creating a sumptuous interior. He devotes attention to every detail, from the architecture, to the furniture, the lighting, the fabrics, and art objects. Where he inserts a new structure into a space, such as a fireplace or a column, it feels like it has always been there. His interiors thus exude harmony and comfort, while retaining a strong sense of the location’s culture, geography, and history.